PlanHP is your chance to help shape the future of Huntington Park. 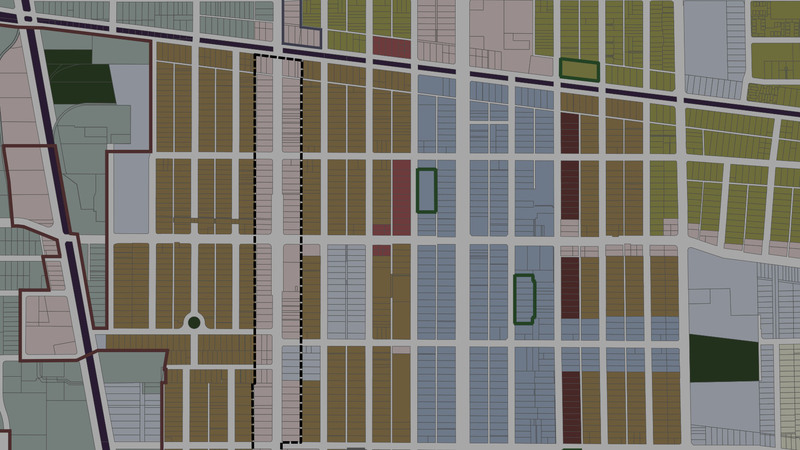 The Project Area for PlanHP encompasses the entire City of Huntington Park, a working class community of 58,792 persons, 97% Latino, and unofficially home to over 80,000 individuals. 19% of its households do not have a car and 21% of its workers use ‘alternative’ transportation modes to commute to work, which reinforce the significance of efficient and affordable public transit. The three square mile City has great potential for more efficient public transit, pedestrian travel and bikeability. The project area encompasses the entire City of Huntington Park but focuses on those areas within a 1/2 mile to 1 mile radius of two potential West Santa Ana Corridor Transit stations: Pacific Boulevard/Randolph and Florence Avenue/Salt Lake.